WHEELS, 15 (38.1 CM) ALUMINUM (STD), TRANSMISSION, 6-SPEED AUTOMATIC (STD), TIRES, P195/65R15 ALL-SEASON, BLACKWALL (STD), SEATS, FRONT BUCKET WITH RECLINE AND HEIGHT-ADJUSTABLE HEADRESTS (STD), LT PREFERRED EQUIPMENT GROUP includes Standard Equipment, KINETIC BLUE METALLIC, JET BLACK/DARK TITANIUM, DELUXE CLOTH SEAT TRIM, ENGINE, ECOTEC 1.8L VARIABLE VALVE TIMING DOHC 4-CYLINDER SEQUENTIAL MFI (138 hp [103 kW] @ 6300 rpm, 125 lb-ft of torque [168.8 N-m] @ 3800 rpm) (STD), AXLE, 3.47 FINAL DRIVE RATIO, AUDIO SYSTEM, CHEVROLET MYLINK RADIO WITH 7 DIAGONAL COLOR TOUCH-SCREEN, AM/FM STEREO includes Bluetooth streaming audio for music and select phones, featuring Android Auto and Apple CarPlay capability for compatible phone (STD). This Chevrolet Sonic has a strong Gas I4 1.8L/110 engine powering this Automatic transmission. *These Packages Will Make Your Chevrolet Sonic LT The Envy of Your Friends *Wipers, front intermittent, variable, Windows, power with driver and front passenger Express-Up and Express-Down on all, Wheels, 15 (38.1 cm) aluminum, Visors, driver and front passenger vanity mirrors, covered, Trunk release, inside, remote, Trunk emergency release handle, Transmission, 6-speed automatic, Traction control, Tires, P195/65R15 all-season, blackwall (Replaced with (RKJ) 17 P205/50R17 all-season blackwall tires when an LPO wheel is ordered. ), Tire, T115/70R16, blackwall, compact spare, Tire pressure monitoring system, Theft-deterrent system, content theft alarm, Temperature sensor, outside, Suspension, Touring, Steering, power, Electric Power Steering (EPS), Steering wheel, sport, 3-spoke, Steering wheel controls, mounted audio and phone interface controls, Steering column, tilt and telescoping, StabiliTrak, stability control system, SiriusXM Satellite Radio is standard on nearly all 2018 GM models. Enjoy a 3-month All Access trial subscription with over 150 channels including commercial-free music, plus sports, news and entertainment. Plus listening on the app and online is included, so you'll hear the best SiriusXM has to offer, anywhere life takes you. Welcome to the world of SiriusXM. (If you decide to continue service after your trial, the subscription plan you choose will automatically renew thereafter and you will be charged according to your chosen payment method at then-current rates. Fees and taxes apply. To cancel you must call us at 1-866-635-2349. See our Customer Agreement for complete terms at www.siriusxm.com. All fees and programming subject to change.). 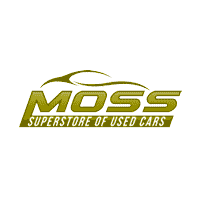 * Stop By Today *Stop by Moss Used Super Store located at 1545 SE Evangeline Thruway, Lafayette, LA 70508 for a quick visit and a great vehicle!